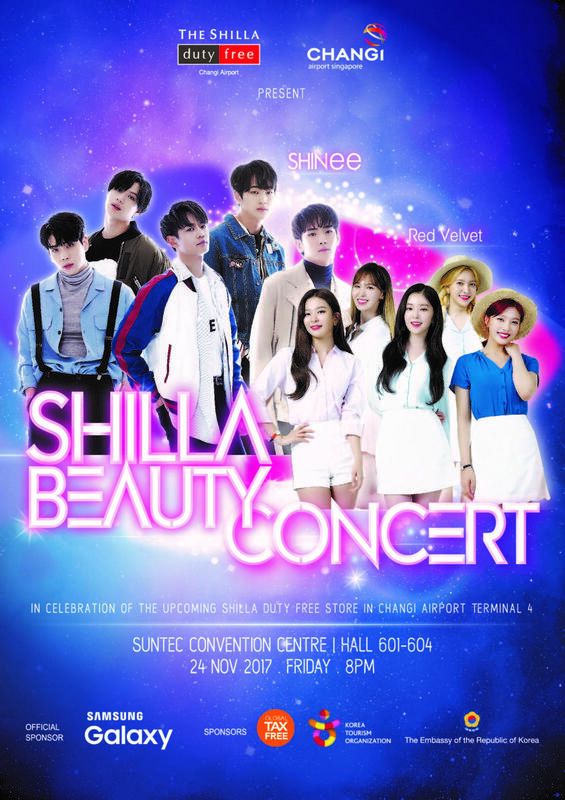 To mark the opening of the new Shilla Duty Free store at Changi Airport Terminal 4, The Shilla Duty Free Singapore and Changi Airport Group will be organising an exclusive concert featuring Korean pop sensations, SHINee and Red Velvet! To get tickets to the concert, you have to either spend $700, to be entitled to one pair of Tier 1 tickets, or $500, to be entitled to one pair of Tier 2 tickets at The Shilla Duty Free stores located at Changi Airport Terminals 1, 2 and 3 or online from September 15. Tickets are limited to the first 2000 customers! For more information, please visit the official website.